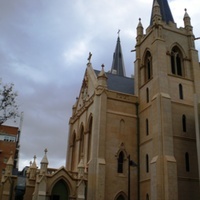 View of the original 1865 facade of the cathedral from an angle which highlights its spires. 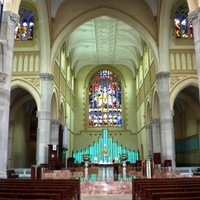 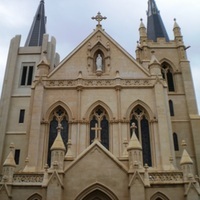 The western facade of St Mary's Cathedral, which was finally completed during the third and most recent stage of development/expansion (1930 - December 2009). 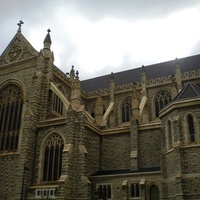 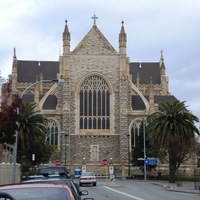 The eastern facade of St Mary's Cathedral in East Perth, completed in 1865.